New Zealand Activities & Tours - More fun than you can poke a stick at! Welcome to New Zealand, one of the most unique and spectacular countries on the planet and home to 4 million outdoor loving and adventure crazy kiwis. NZ is filled from top to bottom with stunning scenery, snow capped peaks, secluded white sandy beaches and wide open roads that weave endlessly through the North and South Island's amazing natural wonders. Friendly, down to earth locals and a prolific and proud indigenous Maori culture set the scene for a fascinating, rich and totally fulfilling New Zealand holiday experience. Known locally as Aotearoa, the ‘land of the long white cloud’, New Zealand is geographically a small country, about the same size as Great Britain, Japan or the state of Victoria, spanning only 1600 kilometers from Cape Reinga in the far north to Stewart Island in the deep south. Don't be fooled by it's diminutive stature however, as many a small man will tell you, size is not everything! 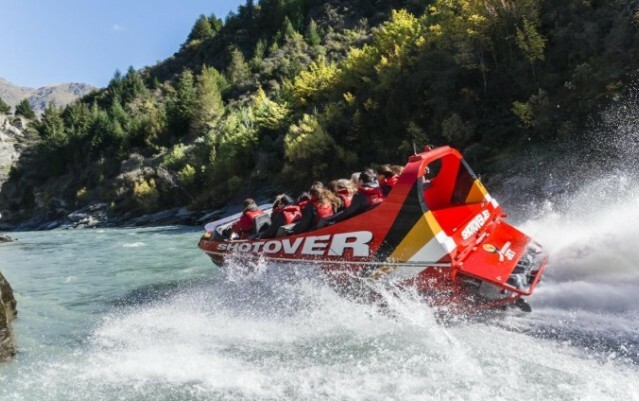 And when it comes to adrenalin pumping adventure activities and world class sightseeing opportunities, New Zealand punches well above its weight. Home to Queenstown, the adventure capital of the world, and other popular tourist destinations such as Rotorua, Lake Taupo, the Bay of Islands, Milford Sound, Abel Tasman National Park, Franz Josef Glacier, Kaikoura, Stewart Island, Mt Cook ... the list goes on and on and on! 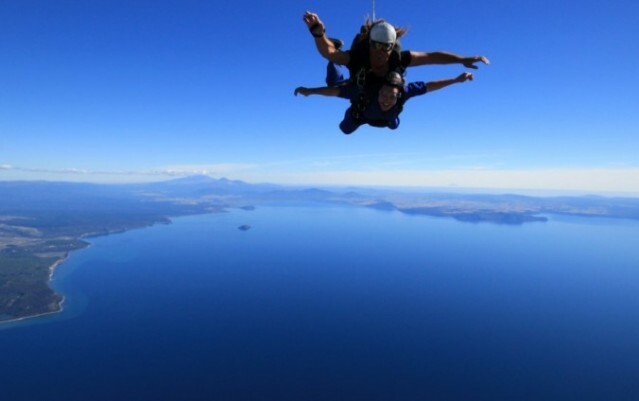 If adventure activities float your boat then why not skydive over snow capped mountains, jet boat through narrow canyons, heliski, zorb, white water raft or follow in the footsteps of New Zealand's own AJ Hackett and bungy jump off a bridge! 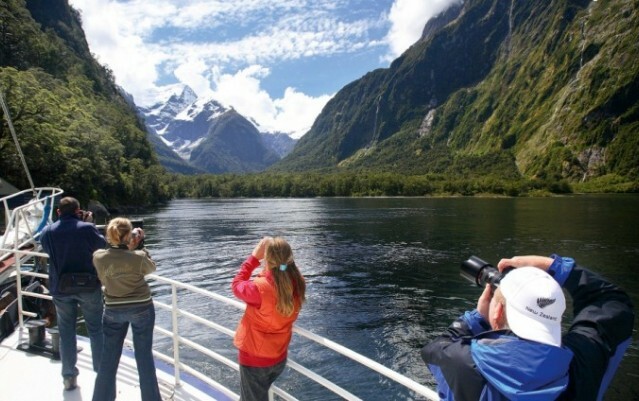 Or, if soaking up the sights and relaxing in unparalleled tranquility is more your cup of tea then take a scenic flight to Milford Sound, fly in a hot air balloon, sea kayak, enjoy a guided walk, try fly fishing, head up the Skyline gondola or enjoy a Lord of the Rings four wheel drive tour. Either way, there is so much to see and so many things to do in New Zealand, your biggest problem will be trying to work out how to fit it all in! Everything New Zealand is here to give you access to everything you need to know about NZ. We offer independent, unbiased and friendly advice covering New Zealand activities, sightseeing and New Zealand accommodation, or we can help you with a New Zealand tours package which combines all of these things and more, to make your New Zealand holiday as fun and laid-back as our famous hospitality. Take a look through our Activity Combos for the New Zealand Activities package that is perfect for you or search through our high quality hotel, apartment and backpacker listings for accommodation that will suit you during your holiday. Secure your activities now. No booking or credit card fees. With millions visiting this extremely popular holiday destination every year, booking your adventure and sightseeing activities well in advance means that when you get to New Zealand you can relax. You won't have to queue up for hours at an information centre with hundreds of other tourists trying to book something that may already be full. It is currently 1:10pm in NZ. Alternatively you can contact us and speak with one of our NZ travel customer service representatives in person (if they're not skiing or on the golf course!) by using 'Live Chat' during our business hours. For more information about Everything New Zealand and how to get the most out of this website please visit About Us. You may also find the answers to Frequently Asked Questions in the FAQs section helpful.